This build is based on support, not a healbot but more of a dps/supportive class that makes solo and party more fun to play. We get 3 sorcerer spells that are instant and has high damage when it comes to magical spells. However our Heal is level 1 which has a 5 second cooldown but only consumes 50 EP which is quite helpful if you plan on lasting longer. No need to go higher unless you want lower cooldown which is for lv 40 build choices. You will have 1 SP leftover which is your own choice, however take a look on my lv 40 build for the extra SP being used. Hammer of Light This is your default skill, leave it at level 1 to unlock next hammer skill & Links of Light. Divine punishment Lv 5, maxing this skill will help out for later levels with solo. This skill has most increased damage per level. Divine Mastery Max it, the best passive for cleric. Rapid Blasts Lv 1 is enough, a good skill to go solo and be supportive with DPS. Ice Arrow Lv 1 is also good enough so you can do triple hit with Ice Thorns or pull enemies. Ice Thorns Lv 1 is enough, we focus on cone damage and sub zero effect here including the extra hit with ice arrow. Look further at lv 40 build for more information of Hybrid. Focused Strike Leave this at 1 as it recovers EP and uses SP and great for skill combo if you solo. Blessing Endurance Max it, this is the only skill that increases total health. Hammer of Judgement Lv 1 is just needed for the links of light unlock. Circle of Punishment Lv 1 is enough, not a big difference on maxing it. It shares cooldown with Circle of Healing. Mind training Level 1 is enough for the proc chance. Healing Strike Lv 1 is enoughto heal a party member within 3 meters. This skill uses Stamina. Circle of healing Lv 1 is enough for now. Need the points for other skills. Look at lv 40 Build. It shares cooldown with Circle of Punishment. Blessing Concentration Max it, this skill lowers the cooldown by 2 minute at max level as it regenerates party members EP and yourself. Links of Light Lv 1 is all we need, we aren't offensive but this is a support/DoT skill. Miraculous recovery Lv 1 is enough, max lvl heals you 50% while lv 1 is 40%. 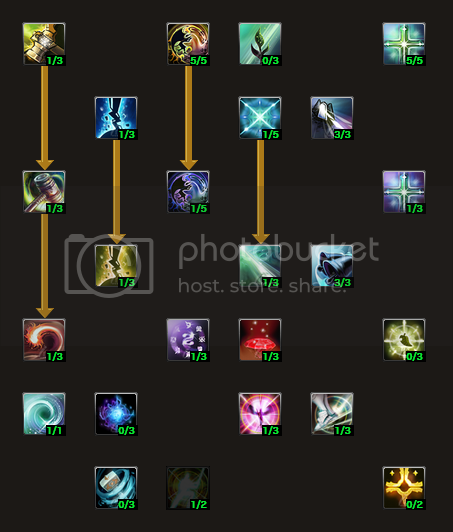 Crystal of Life Lv 1 is enough, a good healing skill for emergency while having regular heal on cooldown. 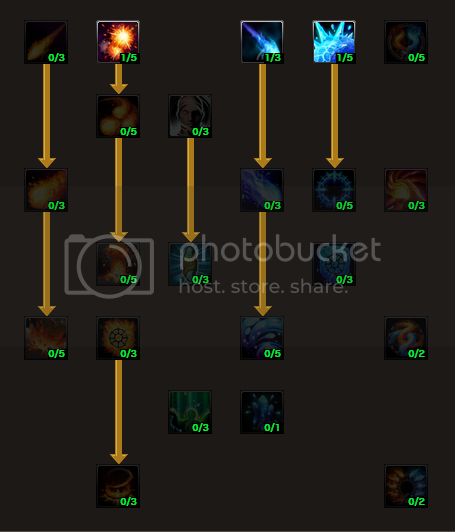 Whirlpool of light Cleric's evasive skill, Max it everyone will need an evasive/escape skill. This also removes immobilization. Salvage Your instant Emergency heal. Leave it at lv 1, it cost too much and has a cooldownof 3 minutes. Used only for emergency. Blessing Swiftness Level 1, You can't max it yet, however a good movement speed and increase attack speed buff. Not necessary to max out but always good to have one. Miracle:Combat Resurrection Lv 1 is enough for the feature of ressurecting a player.